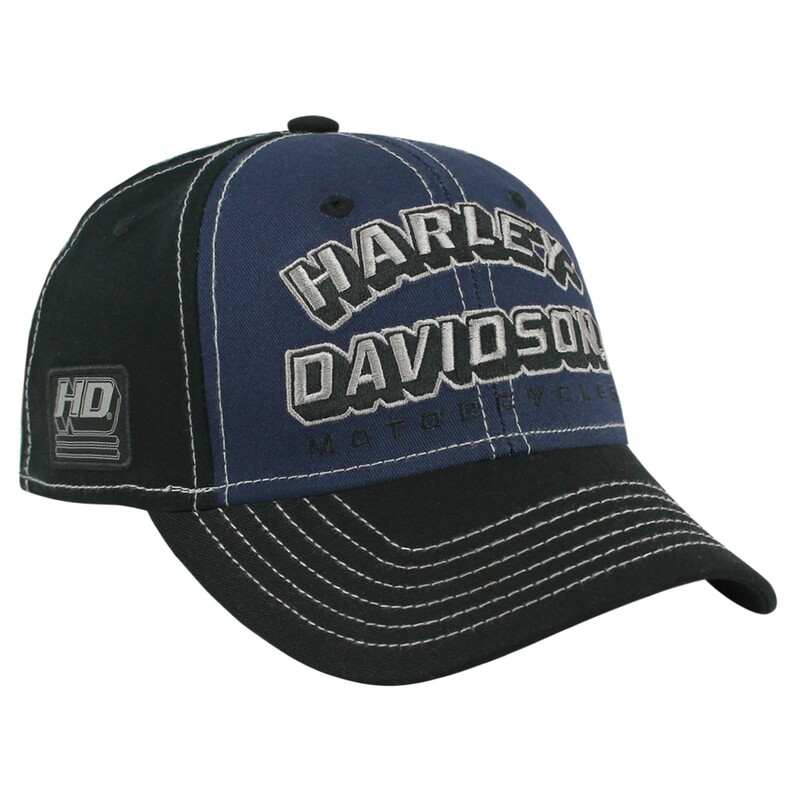 Men's adjustable closure ballcap. Genuine Harley-Davidson trademarked accessory. 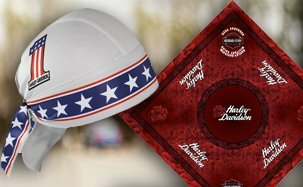 Exclusive H-D Military's licensed print on back, designed to commemorate an overseas tour of duty of our U.S. Armed Forces and to show military appreciation. 100% Cotton. Black and Navy. One size. 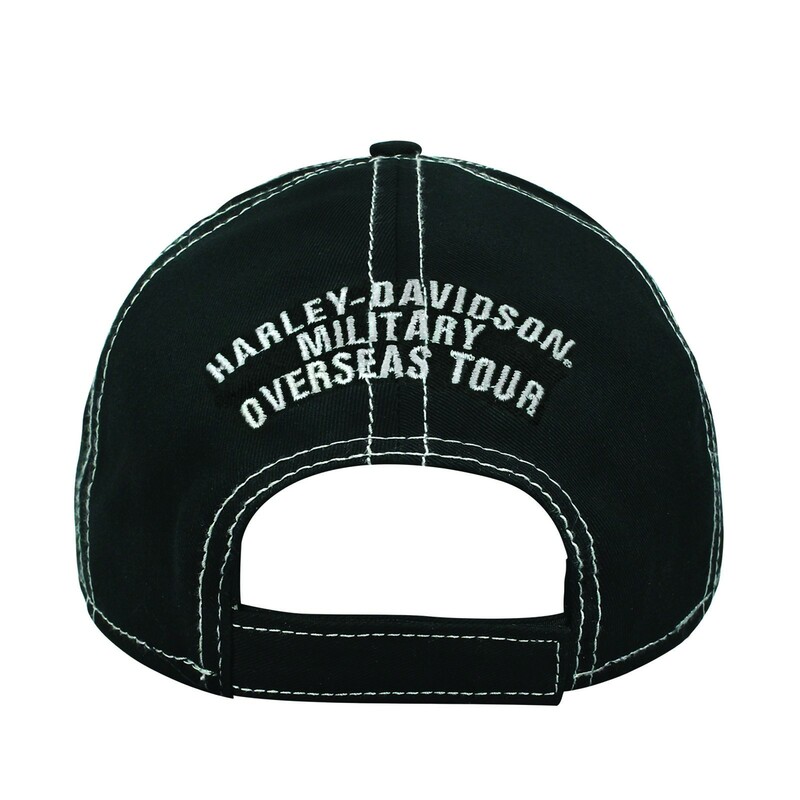 Harley-Davidson Military Sales offers FREE EVERYDAY SHIPPING on all orders shipped to APO/FPO address. Most items will be shipped from our warehouse the same day an order is received (Monday-Friday before 2:00 PM PST). Orders received after 2:00 PM, or those received over the weekend or on a national holiday, will be shipped the following business day. Orders are shipped through UPS and the U.S. Postal Service and properly insured at no additional cost to customers. Ordered items that can be shipped regionally to expedite their arrival are also properly insured at no additional cost to customers. Most orders shipped via Standard Ground will arrive within 3-5 business days. Orders shipped via Expedited Shipping will arrive within 1-3 business days guaranteed. Orders shipped through UPS are trackable by logging into your account. Customers will be notified by an Order Status Update e-mail that the UPS tracking number has been posted. Customers in Hawaii and Alaska are encouraged to contact us to request the actual shipping fees for any order. H-D Military Sales & Amazon.com will gladly ship to APO and FPO addresses. Please contact us if you have any issues with APO & FPO shipping. 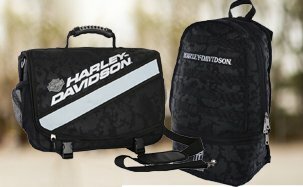 Harley-Davidson Military Sales orders are fulfilled by Amazon.com. 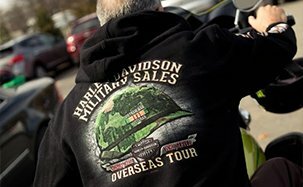 Any unwashed, unworn clothing item purchased from HD Military Sales may be returned within 30 days. For HDMilitarySales.com returns, visit our Online Returns Center which will guide you through the Return Mechandise Authorization(RMA) process and give you a printable return mailing label and bar code. 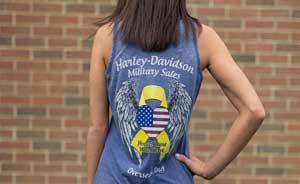 Clothing & Accessories purchased from Harley-Davidson Military Sales can be returned up to 30 days from the original purchase date. You can choose to send your RMA items by U.S. Postal Service or trackable UPS shipping. Unworn Merchandise: Includes any item that is in new condition, still contains the original tags, and is in the original packaging (if any). Defective Merchandise: Returns for manufacturer defects will be accepted. All original packaging and materials must be returned with your merchandise. Incorrect Merchandise: Contact us via e-mail or phone if you received an item different than what was described on the website, or is the wrong size, color, or style from what you ordered. To initiate a return, please visit the Online Returns Center.